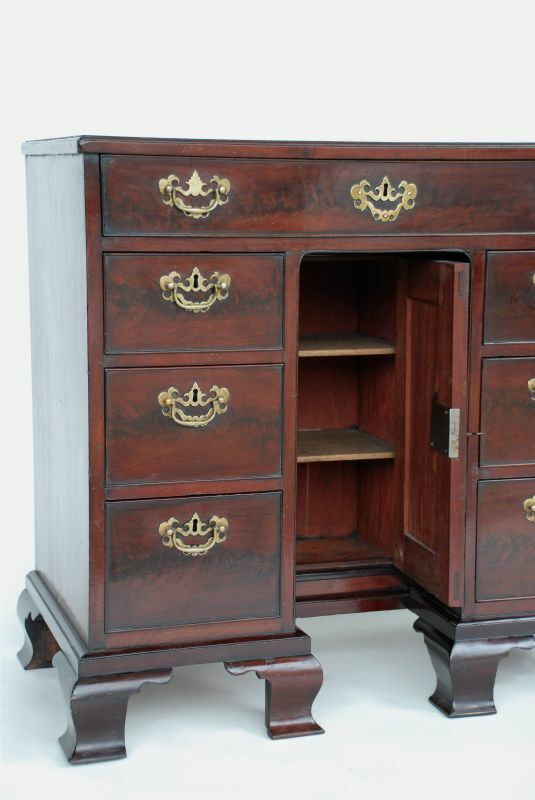 A classic English 18th century piece of furniture. 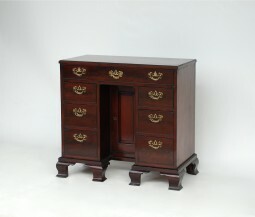 George II Mahogany 'knee hole' chest of small size and beautiful proportions. c1760. 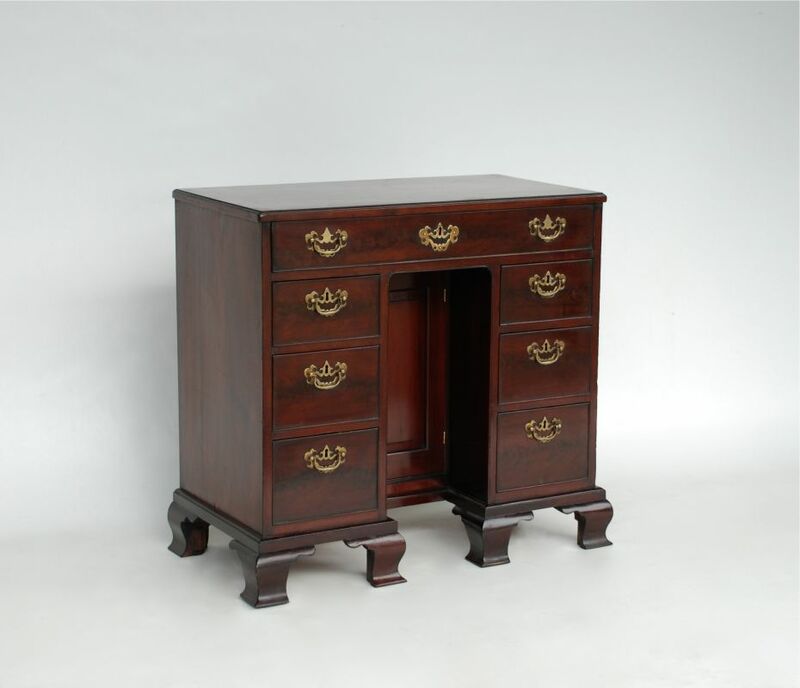 Featuring oak lined drawers, original brass handles and ogee bracket feet. 32 inches wide, 20 inches deep and 31 inches high.